We've seen Wirefly Schmackdowns before, but we've never seen one like this. Under normal circumstances, we watch them compare two high-end Android phones. 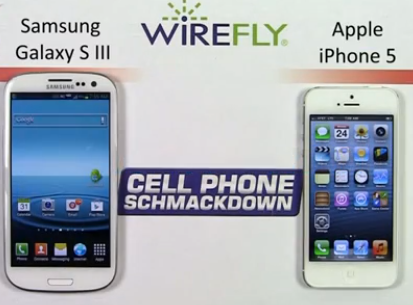 Today, however, they've put mortal enemies in the ring for a fight to the death: the GSIII and the iPhone 5. Oh snap. They compare the size, weight, display, hardware guts, and software, ultimately calling a winner at the end. Honestly, we're not surprised at how it turns out, but you won't find any spoilers here. Hit play and watch for yourself.